(Restaurant News Release) RestaurantData.com has released its latest Restaurant Chain Growth Report. Potomac, MD-based POTOMAC PIZZA (founded 1978) has increased by 1 unit for the Bagels & Grinds concept, from 1 to 2 (100% concept growth). The company also operates Potomac Pizza (4) and Potomac Village Deli (1). Overall company increase was from 6 to 7 (17% company growth). The restaurants are fast casual, serving pizza, sandwiches and coffee. Per person price range is $4-$12+, open for breakfast, lunch and dinner. Beer and wine are served and average unit has seating for about 70. Catering, delivery and online ordering services are available. All the restaurants are located in MD. Florida-based QUARTERDECK SEAFOOD BAR & GRILL (founded 1986) has added a new concept called Good Spirits Restaurant (1). The company also operates Beach Bar @ Newport Pier (1) and Quarterdeck Seafood Bar & Grill (5). Overall company increase was from 6 to 7 (17% company growth). These family/casual seafood bar and grills are open for lunch and dinner, with a $10-$30+ per person check average. Seating is for about 250, with catering and banquet services. All the restaurants trade in FL. Oakville, ON-based POPEYE’S LOUISIANA KITCHEN (founded 1972) has increased by 213 units, from 2809 to 3022 (8% growth). This quick serve cajun chicken concept is open for lunch and dinner, with a $4-$12+ per person price range. Seating is for about 80. Catering and drive-thru services are available. All locations are franchised and trade in AB, AK, AL, AR, AZ, BC, CA, CO, CT, DC, DE, FL, GA, HI, IA, ID, IL, IN, KS, KY, LA, MA, MB, MD, ME, MI, MN, MO, MS, MT, NC, ND, NE, NH, NJ, NM, NV, NY, OH, OK, ON, OR, PA, RI, SC, SD, SK, TN, TX, UT, VA, WA, WI and WV. Popeye’s is a subsidiary of Restaurant Brands International. Irving, TX-based ON THE BORDER MEXICAN GRILL & CANTINA (founded 1982) has increased by 2 units, from 141 to 143 (1% growth). This family/casual concept is open for lunch and dinner, with an $8-$20+ per person check average. The restaurants have full bar service and average seating for about 200. Catering and online ordering services are available. Trading areas are AR, AZ, CA, CO, CT, FL, GA, IA, IL, IN, KS, MA, MD, ME, MI, MO, MS, NC, NJ, NV, NY, OH, OK, PA, RI, SC, SD, TN, TX and VA.
New York, NY-based SOPHIE’S CUBAN CUISINE (founded 1997) has increased by 1 unit, from 9 to 10 (11% growth). This fast casual Cuban concept is open for breakfast, lunch and dinner, with an $8-$20+ per person price range. Seating is for about 50. Catering, delivery and online ordering services are available. All the restaurants are in NY. Franchising is available. Whittier, CA-based LASCARI’S RESTAURANT GROUP (founded 1970) has increased by 1 unit for the Tempo Urban Kitchen concept, from 2 to 3 (50% concept growth) and added a new concept called King & Queen Cantina (1). The company also operates Lascari’s Restaurants (4). Overall company increase was from 6 to 8 (33% growth). These family/casual concepts are open for lunch and dinner, serving Italian, American and Mediterranean cuisines. Per person check average is $10-$30+, with full bar and average seating for 200. Catering, delivery and online ordering services are available. All the restaurants trade in CA. Mirabel, PQ-based LES MOULINS LA FAYETTE (founded 1989) has increased by 3 units, from 14 to 17 (21% growth) and entered into ON. This fast casual French bakery/cafe is open for breakfast, lunch and dinner, with a $4-$12+ per person price range. Seating is for about 60 and catering service is offered. Trading areas are ON and PQ. Franchise opportunities are available. Sherman Oaks, CA-based LUCKY STRIKE LANES (founded 2003) has increased by 2 units, from 19 to 21 (11% growth) and entered into HI and OH. This family/casual bowling alley/restaurant is open for lunch and dinner, with a $10-$30+ per person check average. Seating is for about 400, with private party services. Full bar is available. Trading areas are AZ, CA, CO, DC, HI, IL, MA, MD, MI, NY, OH, PA, TX and WA. Atlanta, GA-based R TACO (founded 2010) has increased by 2 units, from 28 to 30 (7% growth) and entered into NM. This fast casual Mexican concept is open for breakfast, lunch and dinner, with a $4-$12+ per person price range. Beer and wine are served and seating is for about 90. Catering, delivery and online ordering are available. Units are franchised and trade in CO, IA, MN, NE, NM, OH and TX. We last featured this concept on 5/15/18 (47% growth). 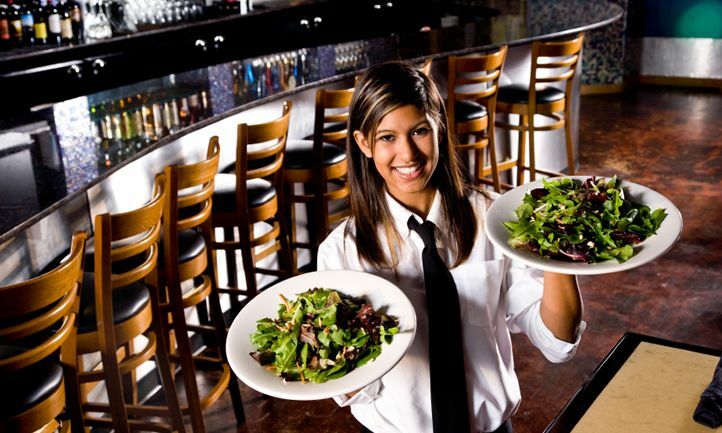 RestaurantData®.com is an online portal including FoodserviceReport.com the largest provider of new restaurant opening sales leads in the US averaging 850 new restaurant openings per week, RestaurantChains.net focusing on the multi-unit chain universe of companies and 20,000 unique decision making VP contacts inside 7,300 multi-unit restaurants and the Restaurant Unit Locator of 700,000 individual locations with rock solid delineations of independent locations vs. multi-unit locations, size, shape, cuisine, service style, sales, contacts, region, alcohol, seats, etc. Listings are updated and reviewed constantly and new data is updated daily.